31 posts categorized "Year of Gifts"
Quick family update a lot of you have been asking if we are alive and ok. Yes we are after last year I am just plain exhausted physically because of my RA disease and we both just got run down. So we took the summer off to just recoup and sleep a lot in between all the busyness besides. lol My dad is doing good he had a check-up and he is on track except for he is in a lot of pain still but otherwise he got a good report and now it's just adjusting to not using his arm like a normal. He still can't lift a gallon of milk and is on weight restrictions. But I am back now working full time on everything! Next few weeks I'll be playing catch up on my blogging. I'll be posting my upcoming online fall classes, customer promotions, finish sharing the year gifts I created, sharing my December Daily (I am going to get that done if it kills me! lol) and much, much more! Grab your favorite beverage and enjoy! At the beginning of each month; each family had a box to open on the first of the month besides the random days we picked out of each month. In this month box is a fact sheet we put together about the month it includes the following: the history of the month's name, historical things that happened for the month on select dates, and what the month is know for. (It's pretty cool as I am a huge history buff so I love these sheets we created!) Each month is also know for a lot of things so we just picked a few things that we thought would be fun to learn about. September Box features the following; Chicken Month, National Honey Month, and Fall Begins. National Honey Month: For this right way I know I would do a bottle of honey and decorate it with a tag somehow and this is what I came up with. I printed out National Honey Month onto Whisper White card stock then zipped the card stock through the Big Shot Die Cutting Machine with the retired Tags & Labels Framelits. I took the bee stamp from Dragonfly Dreams Photopolymer Stamp Set item#142924 and stamped the bee above the words using the Memento Black Tuxedo Black Ink Pad and Crushed Curry Ink Pad. I used Solid Basic Black Backer's Twine to attach the tag to the bottle of honey. This set worked great for National Honey Month! It is called Dragonfly Dreams and it is a Photpolymer Stamp Set. For Fall Begins: I created a bucket list of things to do for the month of September. I printed it out onto White card stock and stamped leaves all around the edges in fall colors using the retired Vintage Leaves Stamp Set. I found a cute dish towel and pot holder for everyone. I've added the Fall Bucket Printout below for you! Here is the PDF Tag I created if you would like to make one. Print it out onto card stock. National Chicken Month: Yep this was one of those things I thought was interesting who knew Chickens have a national month. lol My plan was type up a recipe that used a can of cream of chicken soup. The recipe I included came from the back of the Parmesan Cheese container. Then while looking for something on Amazon low and behold was something called rubber chicken sling shots you put them on your finger and pull back and shoot them like a rubber-band, we thought they were hilarious so we added them to the gift..the older kids loved them. I made the chicken punch art using my retired owl builder punch, 1/4 Circle Punch, and 1/8 Handheld Punch in Whisper White, Basic Black, Pumpkin Pie, and Real Red card stock. This was a real fun gift to put together. Hello, hello lots of stuff going on for us around here sorry been missing in action. April is my normal crazy hectic month worse than Christmas (how is that possible even lol) Hubby and I went to Wisconsin and I attended Onstage were I got the New Catalog!! I had a blast! It was AWESOME!!! I'll have more about that this next week. After getting back we started working on a lot of projects and they are taking way longer than we thought they would. lol Then I had several teeth break apparently I didn't have a good dentist, that lead me to a new dentist and some very not good news. Ughh I've had to have lots of major work done the past two months which has resulted to lots of pain, not being able to eat much and some pretty nasty migraines thus why I've been missing. Make sure you have a good dentist!! I have so much to share with you all! That I will be breaking up the info over a few days of blog posts so it's not so much at once! So be sure to stop back I plan on doing several blog posts a day or subscribe to my blog so you don't miss out on anything. Stampin' Up! released the Retiring List: It's that time of the year. Out with the Old and in with the New!! The Stampin' Up! Retired List has been released. Lots of items going so you'll want to get them before they are gone forever. Remember these items are while supplies last ONLY. Retiring stamps will be available at least through May 25, 2018. Retiring accessories (designer series paper, dies, punches, ribbon and more) are ONLY AVAILABLE WHILE SUPPLIES LAST.Some of the bundles are retiring however some of the product is being carried over to the new annual catalog (starts June 1). They will only be offered individually and no longer available for the 10% off the bundle so I recommend if there is a bundle you want on the retired list get it to save the 10%. Promotion dates for retired Stampin' Up! items: April 9–May 31, 2018. Retiring stamps are available until May 25, 2018. After this date, all retiring stamp sets will be available while supplies last. May Hostess Code Promotion: May 1-31, 2018 Place any order size with me (before shipping and tax) and use Hostess Code: RZGAMXEP receive a package of Corrugated Elements FREE. (Please don’t use the hostess code if your order is $150 or more you will still receive the Corrugated Elements). Holly's Catalog Promotion: April 9-May 26, 2018. Place a $50 or more through me Stampin' Up! 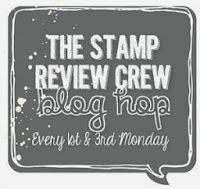 Demonstrator Holly Krautkremer and receive the Annual Stampin' Up! Catalog + Goodie Package. (Roughly ships last week of may) No hostess code needed for this promotion. May 1-31, 2018 Place any order size with me (before shipping and tax) and use Hostess Code: RZGAMXEP receive a package of Corrugated Elements FREE. (Please don’t use the hostess code if your order is $150 or more you will still receive the Corrugated Elements). This retiring products list contains discounted items from the 2017–2018 annual and occasions catalogs. Today's project features 2 of the items on the retiring list the Ready to Pop Photopolymer Stamp Set & Popcorn Box Thinlit. I love these two items and I am sad to see them go since I really thought they were very versatile. I also used them to create one of the gifts I made for our family. Did you know there is a National Popcorn Day? I sure did not! lol When I saw it listed, I knew I wanted to do it immediately because I owned this set and die and because I LOVE popcorn. I actually pop it like how my family did when I was a kid on the stove in a pan. I just use Olive Oil instead of vegetable oil sometimes we melt butter and put it on there too. This was one of the family gifts for our year of gifts. If you would like to see more info about this awesome project we created and what I've shared so far click on the little tag on the left side of my blog labeled Year of Gifts or visit HERE or visit my pinterest board Rubber Redneck Year Gifts to see them all in one spot. The popcorn bowl came from Target's dollar spot. I walked in and there they were exactly 5 on the shelf left. WOW and too funny, they were $5 a piece but we both thought they were cool and wanted to included them. They were heavy and nice well worth the $5. I found read clear jars from the dollar spot at target and filled them with popcorn seeds. We also add microwave popcorn and some butter sprinkle stuff. I decorated the microwave popcorn with a bell band. Here is a top view to see inside the bowl better. Using the Ready to Pop Stamp Set I stamped the images then die cut them out using the Big Shot Die Cutting Machine, Popcorn Box Thinlits and Layering Ovals Framelits. Is this not stinkin cute? I then created the popcorn box out of Whisper White card stock again using the Big Shot Die cut Machine and the Popcorn Box Thinlit. I cut strips of Real Red card stock to make it look like the old time popcorn container. I had some left over red straws from the christmas gifts so I added them to the gift to. Overall the gift cost us around $15 per family not to bad if you would like to make this as a gift idea down the road. Here is one that Stampin' Up! made using the Popcorn Box Thinlit. See so versatile would work for anything! They used the You've Got This Stamp Set which is another retiring stamp set this year too. To create this gift I sued the retired Basket Bunch Bundle from last year's Occasions Catalog. I was so sad this didn't get carried over to our main catalog it was so cute and fun to create with! Remember those Mini Egg Cartons? So fun to decorate too! Inside was random different things for each family. For some of my sister in-laws I found these cute egg shaped wine toppers, change for the kids, some Easter candy, Easter theme socks. I wrapped the Mini Egg cartons with our retired Succulent Garden Designer Series Paper and Linen Thread. I die cut out the basket in Crumb Cake using the Big Shot Die Cutting Machine and the Basket Builder Framelits. I stamped the bunnies in Early Espresso on Early Espresso card stock. The second bunny was done in Sweet Sugarplum ink on Sweet Sugarplum card stock. Then I zipped the pieces through the Big Shot Die Cutting Machine with the Basket Builder Framelits. I assembled the cute little basket and add the greeting onto it. Then so I could keep track I wrote family names on the basket. Soo Cute! Then finished with a Pearl Basic Jewel. At the beginning of each month; each family has a box to open on the first of the month besides the random days we picked out of each month. In this month box is a fact sheet we put together about the month it includes the following: the history of the month's name, historical things that happened for the month on select dates, and what the month is know for. (It's pretty cool as I am a huge history buff so I love these sheets we created!) Each month is know for a lot of things so we just picked a few things that we thought would be fun to learn about. January Box features the following; National Blood Donor Month, Hot Tea Month, National Soup Month, Letter Writing Week. For the Hot Tea Month and National Soup Month we included tea packets and a can of soup. Blood Donor Month: We put together a fun kit with a band aid and cotton balls to use after donating blood. I put it all in a cellophane bag. Along with the kit I created a tag to go onto the little package. I printed them out onto Whisper White card stock and made a little red cross from our Real Red card stock. Then attached with some retired Pop of Pink Washi Tape. National Letter Writing Week: This is the 2nd Week of January. I picked this event for sentimental reasons. Growing up as a kid my grandparents would go south to Florida and we would write letters to my grandparents so I wanted the kids to write letters. The fun part about this I didn't stop and think about it but kids don't do this anymore we have email and cellphones for texting. My cousin's kids had never written a letter before so it was a great learning experience for them. It was so awesome to have a hand in teaching them something. Here I am reading the letters I received in the mail!! It was so cool to get letters from the kiddos. I created a little packet using a Manila Envelope. Inside the envelope was paper, pencil and envelopes. I created a tag to print out and attach to the envelope. I used the Better Together Stamp Set to stamp onto the tag and envelope in Tuxedo Black Memento Ink. I dressed up the envelope with the Pop of Pink Washi Tape (retired). I had a lot of fun putting this month box together. This is a great set and covers a variety of moments and worked perfect for our year gift! You can still purchase this set. This was one of the Odd Ball Holidays we did. Bubble Wrap Appreciation Day is January 30th. I cracked up when I saw this and I thought the kiddo's would get a laugh out of it and they did. Happy Super Bowl Sunday! This year the Super Bowl is in our state and sadly I am not going to be at it nor our Vikings Team :( But I have an awesome Super Bowl Party Gift idea for you all! This is another gift we created for our family members and is part of the "Year Gift" we made. If you would like to see more info about this awesome project we created and what I've shared so far click on the little tag on the left side of my blog labeled Year of Gifts or visit my Pinterest Board HERE. This package contained so many fun things and was a blast to make! When researching about the Super Bowl I found a Trivia Fact sheet that I thought was really interesting and thought the die hard sports fans in our family would like it. This is the website I found them on HERE. You can't print them so you will have to save as an image to your computer and then print them out. The answers are right below each card. I picked up craft wood sticks at walmart and using my silhouette cut out the football shapes out of card stock and attached to the sticks. I did them in the Viking Colors. The cups we found at the Party Store they have a section with football theme items. We put the markers, little footballs, and little decorative sticks into the cups. I made a little football box that would hold juice boxes for the kids. I will have a video on how to make the box soon on my blog. The ribbon on the sticks is actually ribbon from my grandma's stash she was big into crafts so it had some nostalgia to it giving it to her grandchildren and great grandchildren. The little football box. I used White Washi Tape on it. The second gift I have to share was for Groundhogs Day we kept this one pretty simple. Do you remember this image I shared long ago for our daily journal project? I love this cute image so much I printed it off onto card stock and turned it into a card for groundhog day! Then we printed out the history about groundhogs day. Hubby and I both learned some things we did not know. The winners for the Christmas Leftover Giveaway are listed below along with what prize you won. I will be emailing you to get your address. Thank you everyone who participated in the giveaway!